Spare jumping pad AERO 365 x 265 trampoline/ Pro One 365 trampoline. Replace the jumping mat on your professional Aero 365 or Pro One 365 trampoline. After several intense seasons of use, your jumping mat may deteriorate. In this case, we recommend replacing your jumping mat to improve safety. 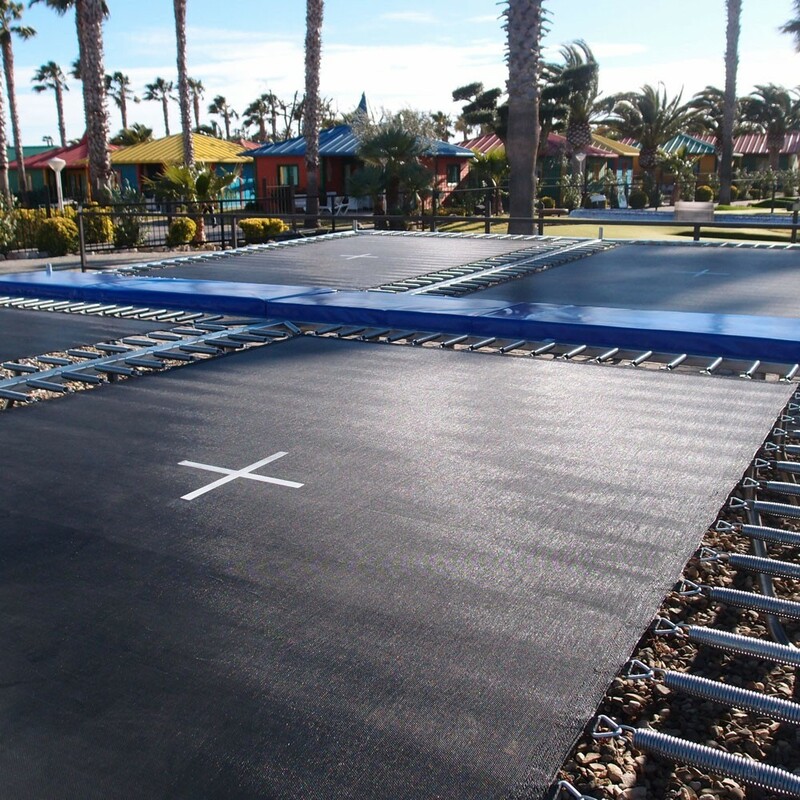 We offer a solid jumping mat adapted to your rectangular professional trampoline measuring 3.65 m x 2.65 m, with 80 springs of 215 mm in length. - Designed for rectangular professional trampolines such as the Pro One 365 or the AERO 365 battery of trampolines, this jumping mat ensure trampoline safety for your professionak trampoline. 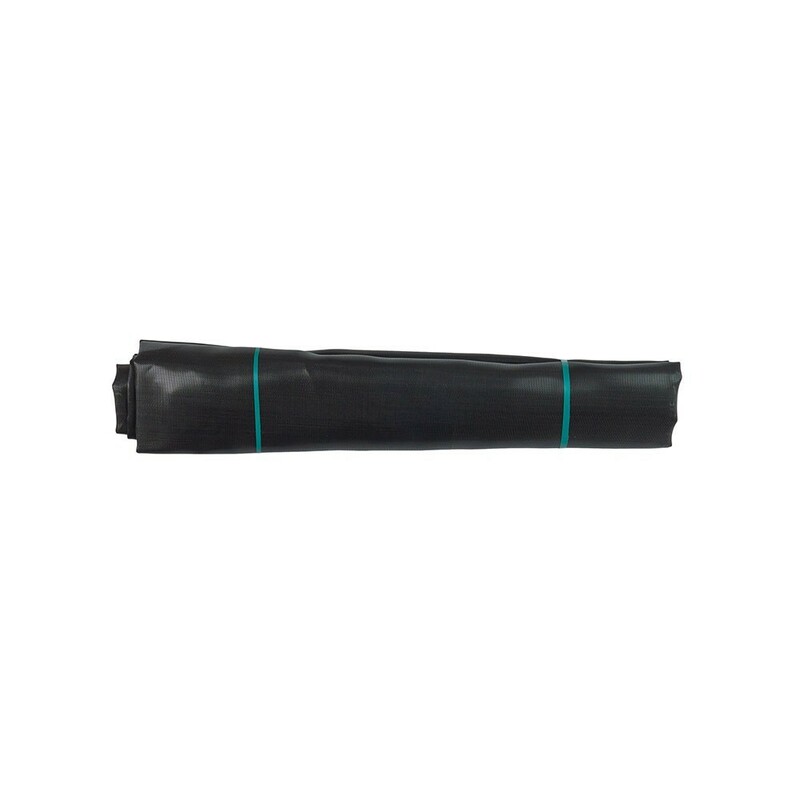 - This jumping pad is tear-resistant and is made of black polypropylene mesh. This fabric is UV resistant and ensures that your jumping mat is protected whenever it is in use. 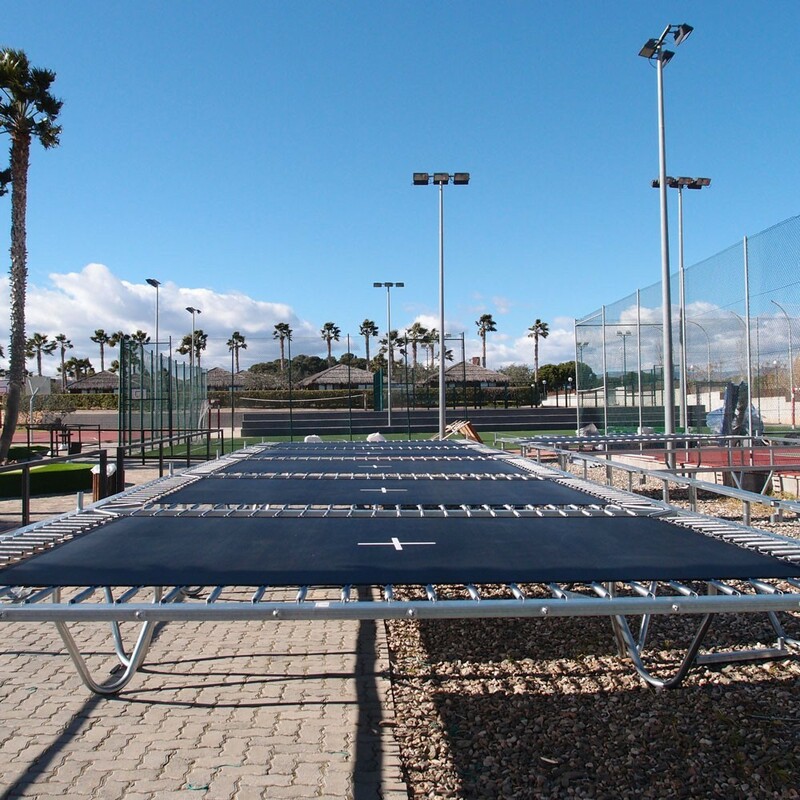 - It has been made to measure and assembled using 6 rows of stitches as well as a reinforcement strip to guarantee a high level of quality and user safety. To strengthen the equipment, galvanised steel rings are used, as they are rust proof. - Your professional trampoline must measure 365 x 265 cm and have 80 springs measuring 215 mm in length (+ 4 springs of 300 mm in the corners) otherwise this jumping mat will not be adapted.